Wowwee. I have been SO MIA these last two weeks! I posted on Twitter (@raynealexa) and Snapchat (makeitraynex) that October was the first time since starting my blog 10 months ago that I have actually not managed to post a ‘Monthly Favourites’ post on the first of the month. I got a few people commenting that its so normal and that missing it once a year is not an issue – which is so true – but these last few weeks have been really really hectic. I wrote more about it in my Life Update post here. Therefore, I have not managed to post a recent Lip Look either. I started with my Lip Look series because I was trying to branch out with lip products and I thought it would encourage me to experiment a bit and for a few months I was great and I managed to religiously post one look a week but eventually it became too much for some unknown reason. I also thought that sometimes a Lip Look would be a good way to still post when I have writers block but actually I just end up feeling guilty at posting such a short post because usually I ramble on and oooon and the posts are super long. So here I am, back with another Lip Look and its one which I received in my Canadian International Beauty Box Swap and once opened I was so excited to try this out. 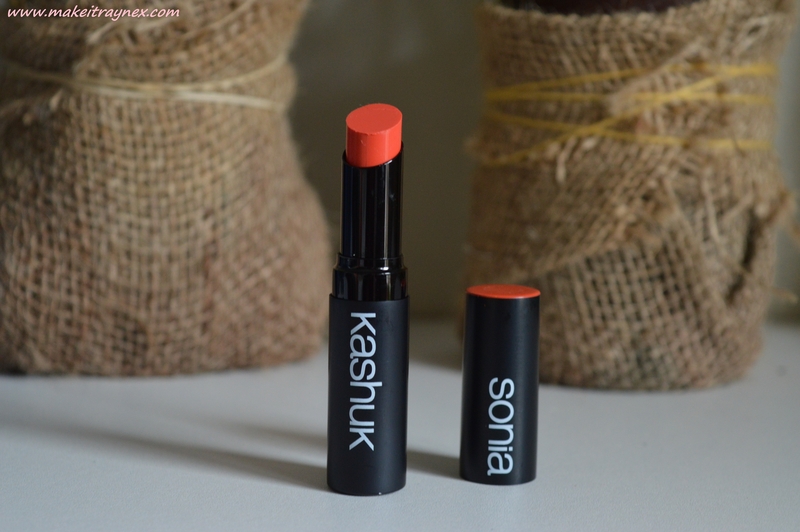 It is the Sonia Kashuk ‘Hint of Coral’ from her Coral collection. These are packaged as and look exactly as lipsticks but they are Moisture Luxe Tinted Lip Balms. Originally I was a bit MEH about it because the colour pay off is not great for a lipstick. Especially when the colour in the tube is so vibrant and vivid! However, once realizing that it was a tinted lipbalm it made more sense. Its marketed (obviously) as being moisturising and it certainly is moisturising. 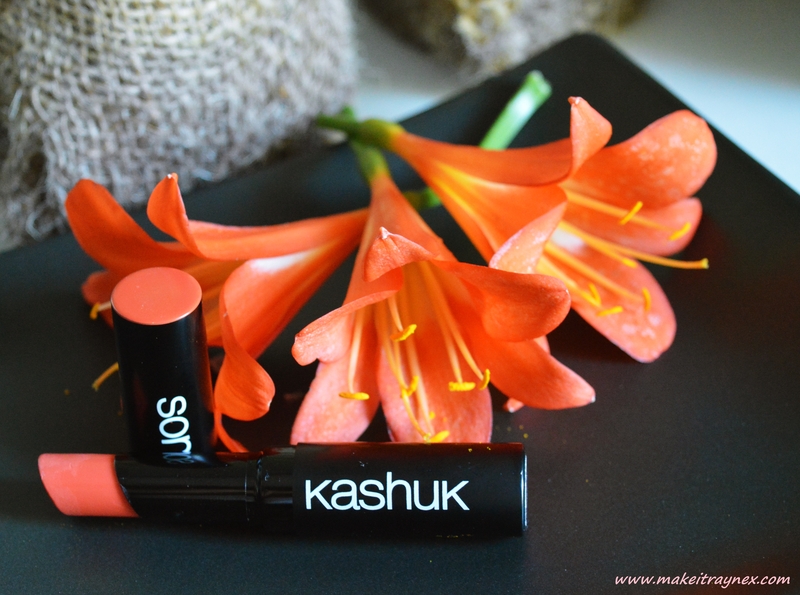 I am not the biggest fan of tinted lip balms but this one really does do the trick when needing colour AND hydration. Goodbye lipstick over lipbalm! It is also not tacky or sticky at all due to the moisturising factor. Besides for loving the colour, I am OBSESSED with the sleek and classy packaging. Gorgeous gorgeous gorgeous. So plain and simple. Infused with essential fatty acids, cherry extract for antioxidant protection and safflower seed oil to nourish your lips. What did you think of Lip Look number 19? YAY OR NAY? My favourite John Frieda products of 2017 & some of my tips and tricks!